Gen Xtinct: Martha, Martha, Martha! 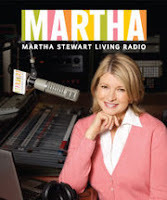 On Friday from 2:30-3 pm ET, we'll be interviewed on Martha Stewart Living Radio, and will take questions about lost 70s-80s products. If you have Sirius XM satellite radio, it's on channel 110. If you don't, you can sign up for a free 7-day trial and listen online.